A guide to biking around Varese: flat riding and climbs. The Province di Varese is the area that lies between the Lake Maggiore and the Lake Lugano. Cycling around Varese gives you a great variety of different terrains as well as some of the best views of the surrounding landscape. The area offers something for everybody: some flat riding, undulating routes, good climbing. A cycle paths network connects Lake Varese, Lake Maggiore, Lake Lugano and the the other smaller lakes: Lake Comabbio, Lake Ghirla and Lake Ganna. More the 100 kms of cycle paths. Here's the: cycle paths map for a quick overview of the road bike routes. On these bike routes you can explore the surrounding area around Varese. 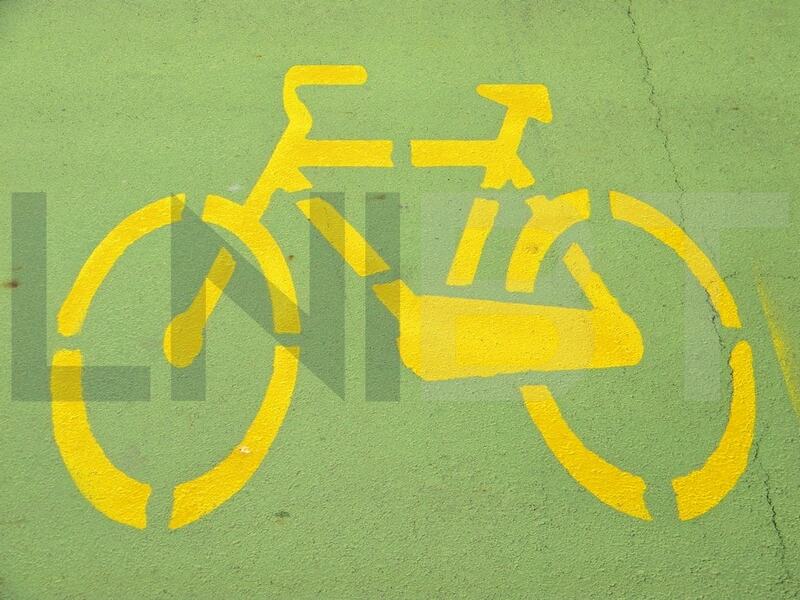 The cycle paths are flat and reserved for walkers, for roller bladers as well as for cyclists. Occasional uphill sections, which are never demanding, make the cycle routes accessible even to less fit or experienced riders. Only a short stretch of cycle path Luino Valtravaglia Valcuvia is demanding. (Red route) This ride is just over 28 kilometres ride and a great way to discover the beauty of Lake Varese which sets against the resplendent backdrop of the Monte Campo dei Fiori Massif. The route also passes the ice-houses of Cazzago Brabbia. They are still perfectly preserved. These curious circular eighteenth-century buildings were used to store winter ice so that the low temperatures required to preserve fish caught in the lake were maintained inside all year round. There is a 3 kilometres gravel route which connects Lake Varese and Lake Comabbio. (Brown route) This is a 12 kilometres loop around Lake Comabbio. You can start from the park in Ternate, a quiet area of greenery with facilities, as well as a convenient car park. There are several gravel stretchs. The route isn't completly flat: there are several easy ups and downs. You will tackle a wooden bridge which for around 500 metres offers the thrill of riding suspended above the lake. There is a 3 kilometres gravel route which connects Lake Varese and Lake Comabbio. (Orange route) A 20 kilometres friendly ride (alongside the former Valmorea railway and the River Olona) that takes you from the picturesque village of Castiglione Olona, on River Olona, to the town of Castellanza. The first part of the route isn't paved. Along the way you can visit the village of Castiglione Olona and the Monastery of Torba. Monastery of Torba, at Gornate Olona (Varese), lies at the foot of the archaeological park of Castelseprio, dates back to between the 5th century and 6th century, when the tower was built and used as a Roman military outpost of the nearby camp. Church of the Collegiata and Museum, also known as the "Island of Tuscany in Lombardy", has ancient origins. It was a Roman military camp, then a village fought over by the Viscontis and the Torrianis, who, for a long time, sought to dominate this territory along the banks of the River Olona. The Renaissance was the period of greatest splendour for this place, due to the presence of Cardinal Branda Castiglioni. (Gray route) This ride is 15 kilometres ride between Maddalena and Nosate. Toward North you can reach Sesto Calende,on shore of Lake Maggiore, along a road with little traffic that runs beside the River Ticino. Toward South you can reach Milan via Abbiategrasso, following the cycle path of Naviglio Grande. (Green route) 8 wooded kilometres take you from Ponte Tresa, on shore of Lake Lugano, up to Valganna via Valmarchirolo. You wil ride on the former tramway which, in the first half of the 20th century connected Varese with Ponte Tresa and will pass through several tunnels and close to Lake Ghirla. The route is flat, except for a slight climb of just over four kilometres just after Ponte Tresa. (Purple route) This is a 15 kilometres flat route, mainly along River Margorabbia. It connects Luino, on shore of Lake Maggiore, and the village of Mesenzana, Grantola and Cuveglio. Plus there is a 9 kilometres route for climbing up to Cunardo. A part of the stretch isn't paved. You have to tackle a demanding stretch especially between Grantola and Cunardo where you cross the cycle path Ponte Tresa Valmarchirolo Valganna. (Pink route) This 5 kilometres route takes you from Laveno, on shore of Lake Maggiore to Cittiglio, in Valcuvia. Laveno is the tourism capital of the Eastern shore of Lake Maggiore. Its harbour is quite important and has a ferry service connecting this little town with Intra on the Western shore of Lake Maggiore. Laveno offers tourists a remarkable lakeside promenade with porticoed buildings and pedestrian precincts. Monte Sasso del Ferro rises above the town. It can be reached by cable car and is one of the most popular scenic viewpoints on Lake Maggiore. The former tramway which, in the first half of the 20th century connected Varese with several villages, now lends a few kilometres of its route to the cycle paths. In the late 19th Century and early 20th Century the hinterland of the city of Varese enjoyed a boom time, becoming a countryside retreat for the wealthy Milanese upper-middle-class, who wanted holiday on the slopes of the Sacro Monte and Monte Campo dei Fiori. It also became a favoutite haunt of numerous visitors from UK, USA, Germany. In those days Varese was an attractive area in the Prealps. To encourage and make the most of this popularity with tourists, the area was equiped with a cutting-edge tram network that connected Varese to the all surrounding town as Luino, Angera, Ponte Tresa, Viggiù. In 1895 the tram line was opened. The company running the tram line closed in 1953. Here is a list of some road bike routes and road cycling climbs for all skill levels. We have put together a route that can give you a feel for the race course of UCI Gran Fondo World Series Tre Valli Varesine which has taken place every year in Autumn in Varese . Of course you avoid the busier and boring roads for enjoing the most beautiful sections of the race course. The route is winding, among the Lake Lugano, Lake Maggiore and Lake Varese. You have to to tackle three climbs of the short race course: Alpe Tedesco, Ardena , and Brinzio , and two other climbs for connecting the sections of the route: Roggiano and Sasso di Gavirate. You can tie your cycling routes with tourist attractions to see in the area around Varese.